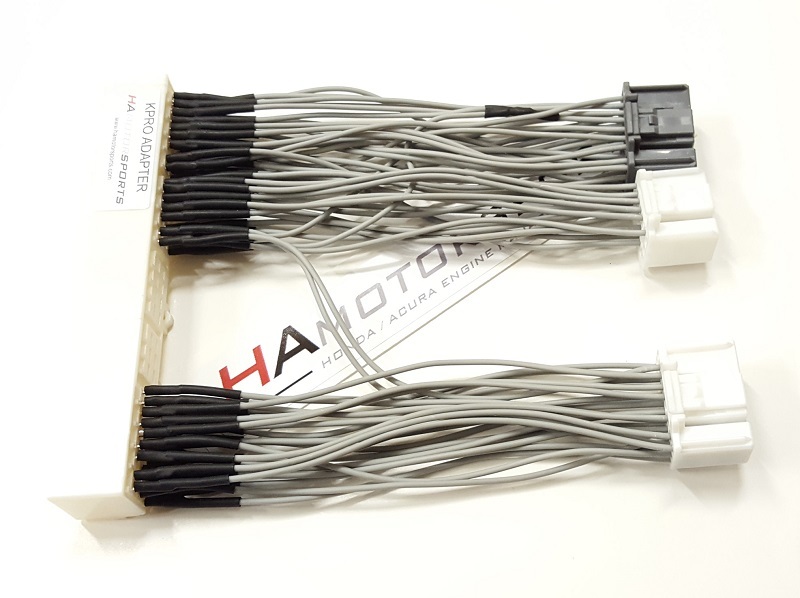 HA Motorsports ECU jumper harness for installing an 02-04 Acura RSX ECU into the 2005-2006 Acura RSX chassis. This can ONLY be used with a specially modified ECU that is prepared by Hondata for use in the 05-06 Acura RSX. You can NOT use a standard 02-04 Kpro ECU in the 05-06 RSX, it must be specially modified by Hondata such as the ECU in our 05/06 RSX Kpro ECU package. Uses all new OEM connectors for OE quality fitment. 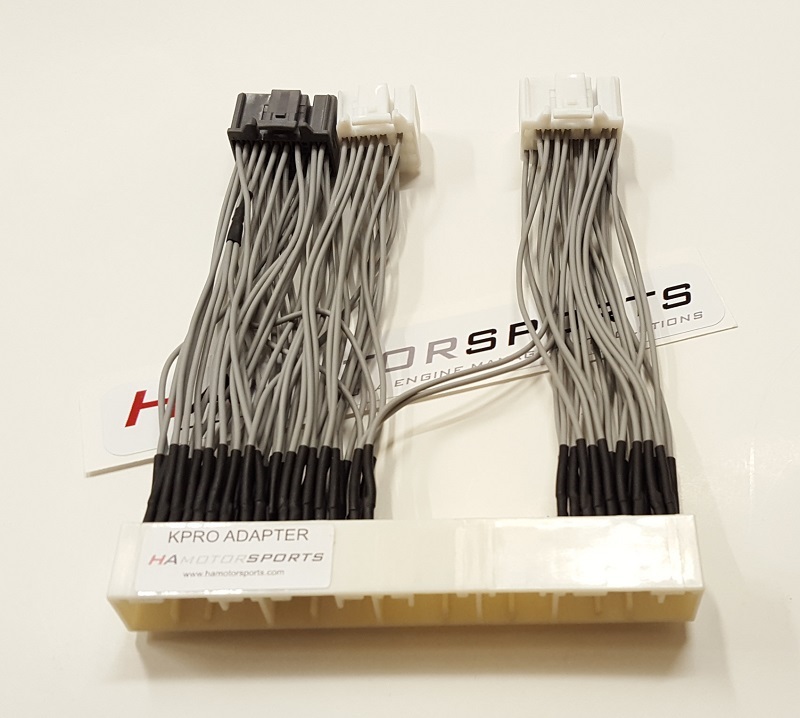 All HA Motorsports ECU jumper harnesses are constructed using cross-linked automotive TXL wire that exceeds OEM specifications and is extremely durable.